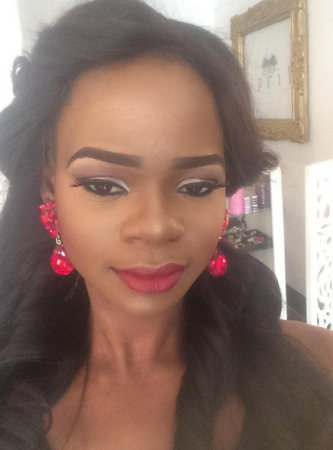 The star of the moment Olajumoke now has an Instagram page operated by her modelling agency Few Models. While I really applaud all those that have come together to make her successful, I really feel these glam shots are over done. More than anything what people found appealing about Olajumoke is her natural looks. The aura of simplicity and the subtle innocence she exuded. The picture to the right captured by TY Bello to me epitomizes Olajumoke as a brand perfectly. The one to the left that was posted on her IG page is over done and not the Olajumoke we fell in love with. I understand in her new line of work she has to dress the part for her jobs and all but I think she can make do just fine with the minimal make up and natural hair that drew us to her. And to think this is the way she will be introduced to CNN! More from her glam shoot after the cut. Make up artiste should be flogged eh! Wharisitis?? ?taking to my heels. Nonsense, that's what they have done to her. You spoke my mind exactly....it was her natural beauty that was alluring to us. This is really silly. Dont think it is a good idea. Ya well her 5 mins of fame would soon come to an end. Please Tosan tell them that we prefer her natural beauty and not all these too much make ups. Mba! The TY shoot showed her true beauty.